Iconic recreation vehicles can be seen everywhere during the Canadian summer, but Canada’s RV park industry is highly fragmented and mainly consists of small, owner-run establishments. Furthermore, given the nature of the business, there is plenty of overlap between campgrounds and RV parks. A site may incorporate a range of activities, which could include trailer and caravan parks, summer camps for children, wilderness camping, and more. IBISWorld comments that this sector ‘exhibits low market share concentration, with the four largest companies in the industry controlling less than 5.0% of industry revenue’. 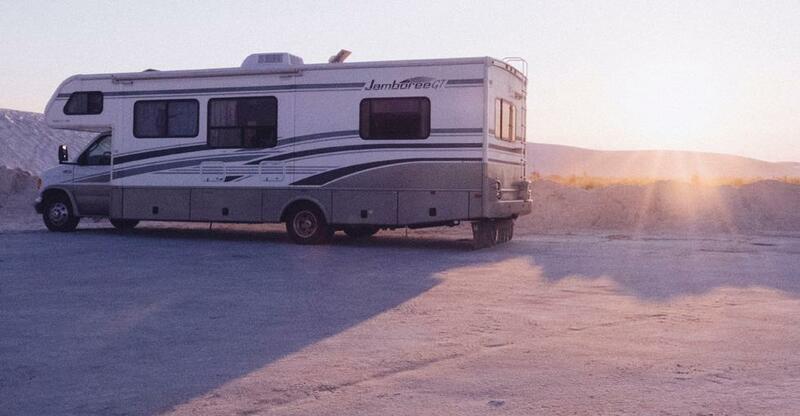 ITA anticipates US RV imports to be worth $1.3 billion in 2018.
sustained low interest rates has encouraged many families, and growing numbers of older couples, to invest in RVs. And in addition to strong sales, the industry has also benefited from increased disposable incomes. In what will be a new departure, the Canadian dollar’s purchasing power is set to fall in relation to the currencies of Canada’s larger trading partners. This is likely to result in a significant influx of US RV vacationers aiming to get more for their dollar in Canadian RV parks. Whilst it is accepted that RVing and camping have a crucial role to play in Canadian tourism, the Canadian Tourism Commission seem reluctant to recognize the sector’s potential for viable growth. The strong and continuing demand for RV park facilities is putting pressure on existing parks, and there is a need to fund the development of the new infrastructure which will be necessary to create more (and slightly larger) parks. These units would, for example, require adequate waste facilities and extra power capacity to handle the multiple electrical outlets which would be needed. Many in the industry have noted that Canada’s National Parks would particularly benefit from such investment. Canada’s Recreation Vehicle Dealers Association (RVDA) have recently flagged up the fact that there have been some reports of RV sales figures being slightly ‘softer’ than expected. According to the RVDA, this may be explained by the fact that vehicle prices have been ‘inching up for most of this year in the context of a weaker Canadian dollar’. Whilst RV parks mostly cater for vehicles designed for temporary living, travel, recreation and camping, some operators also accommodate travel trailers used as mobile-homes and/or business spaces. The majority of popular parks are usually situated close to places of interest where the climate and scenery are appealing, and where tourist populations can access the facilities with relative ease. Routine management involves liaising with visitors on arrival and departure, and being available to answer queries and deal with any problems which may arise. There will also be regular cleaning of on-site facilities such as laundry and washrooms, play areas, snack bars and recreation halls – some of which will also require staffing arrangements. A rapid turnover of visitors also means ongoing maintenance to ensure each plot is clean and the grass is well cut, as well as an ability to speedily repair or replace essential facilities whenever they fail. Prompt attention to these matters is extremely important to keep visitors returning and to attract new holiday guests. Parks Canada is a Canadian Government agency charged with protection of the nation’s natural and cultural heritage. Its brief includes ensuring the public understand, appreciate and enjoy these resources. The CCRVC is an advocate for campground and RV park operators across Canada. Go RVing promotes RV lifestyles and is a coalition of regional associations, manufacturers, dealers and equipment suppliers. The CRVA consists of RV manufacturers and equipment suppliers dedicated to setting and maintaining professional standards for the RV industry. The RVDA is a professional trade association which represents the interests of businesses in all segments of the recreation vehicle industry. Most business entrants will be looking to buy an existing RV park listed for sale. You and your business broker will need to review the financials with great care to verify the true worth of the park on offer. Apart from doing your homework on the credibility of the business, you must also carefully assess what inherent future potential the deal may offer which could generate a worthwhile return on your initial investment. The advice of a professional team will be invaluable.